Nimrod Long and Associates’ design for The Junction at Mississippi State University transformed a former vehicular quagmire into a unique tailgating experience at the Davis-Wade Stadium. NLA developed the overall Masterplan for the site, connecting walks from University Drive to the Union. Also prepared were grading, layout and detailing documents of the walks, lighting and landscaping of The Junction and the Cullis Wade Depot. 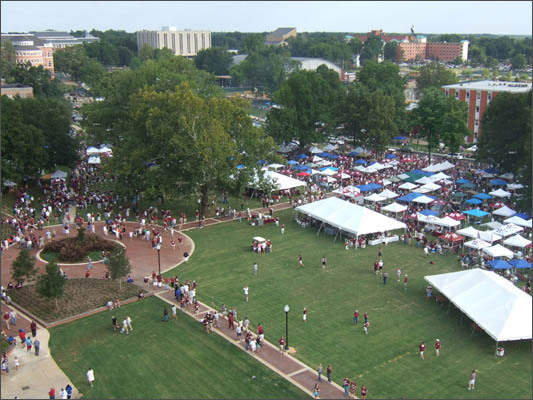 Through working closely with Mississippi State University, NLA was able to create a distinctive open space area and exciting tailgate experience for Mississippi State University students and fans.